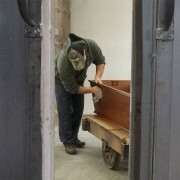 Here at EXODUS CoffinWorks we are making furniture for eternity - the final bed! 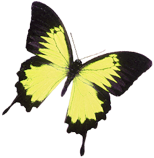 Our mission is to provide an affordable choice of burial besides cremation and caskets. 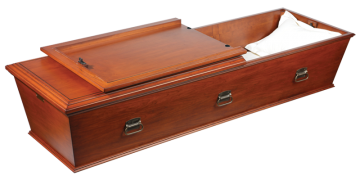 Many people are choosing cremation as their form of burial due to the cost of traditional caskets. 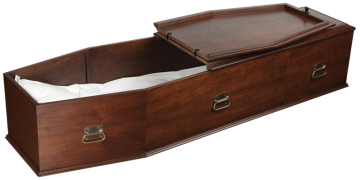 Since our Christian beliefs teach the importance of the Resurrection of the Body, we are offering the age old concept of using coffins which are lighter and smaller. Our coffins are built in the heart of North Carolina's furniture manufacturing region where fine craftsmanship and quality are still a source of pride. 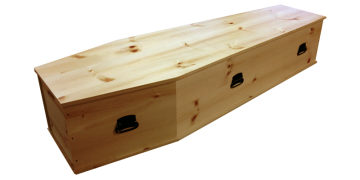 We know you will be impressed with the quality and beauty of our coffins.